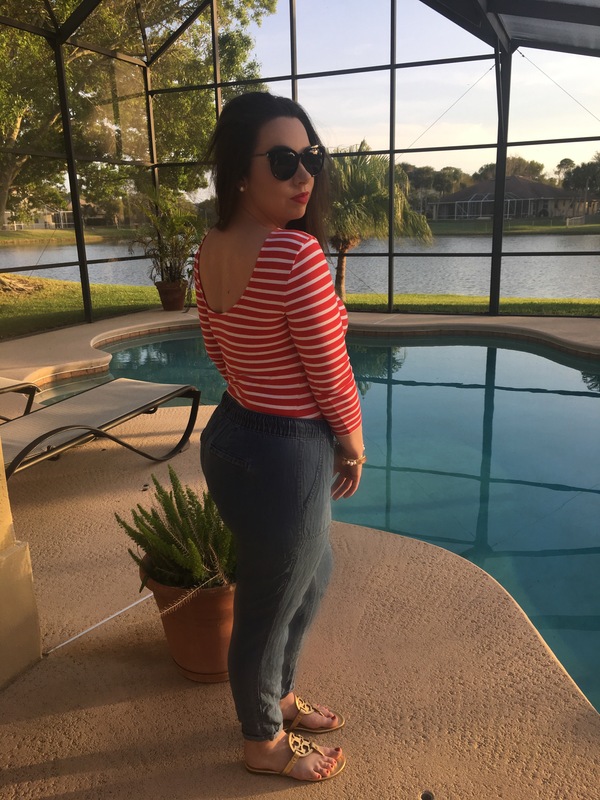 Nothing says the beach quite like a nautical red stripe… and to top it off this is even more perfect in the fact that it’s a bodysuit. I love me a good bodysuit. Especially the scoop-back on this one! I think they’re figure flattering for a lot of different body shapes. However, I do understand not everyone is crazy about them. I like the fact that it doesn’t get out of place and aggravate me. I have no bigger pet peeve than for an outfit to be uncomfortable. I’m nicer when I like my outfit. Anyone else? 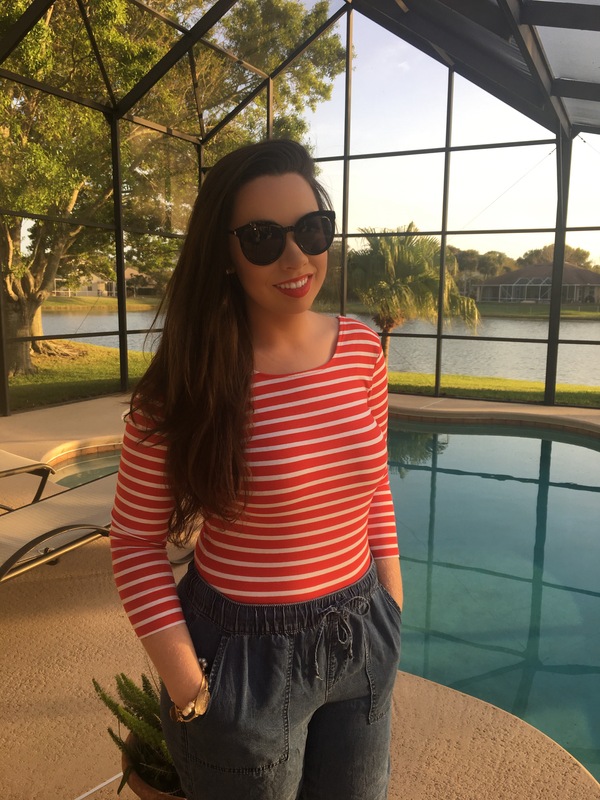 Any-who, I loved this specific three quarter link sleeved bodysuit so much I purchased it in three different colors. (Because I paid next to nothing for them) They’re a great transition piece for spring. At this point you know I’m a sunglasses freak. These were extremely inexpensive, and a must have for my wardrobe. Just channeling my inner Audrey in this specific pair. I mainly chose these because I didn’t own a black pair. (Shocking, I know!) The shape stood out to me, and I liked the fit on my face. You do you- find your style and own it! 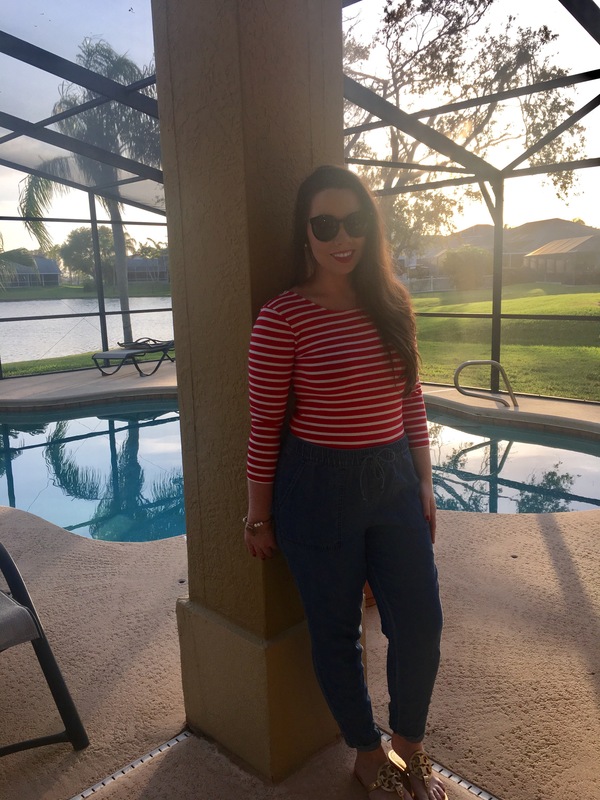 These chambray crop pants are everything and much more. They go with so many types of tops. Versatility is the pattern here in case you missed that. (Laughing at myself as I type this) I’m a creature of habit.. but aren’t we all? I just love them. They’re a must for those cool/crisp spring and summer nights.